While looking for a perfect home to spend our lives, we look for the opulence of luxury and a renowned project launched by an existential builder to rely on terms of the trust. We all hunt for luxury and peace of living for the betterment of life. 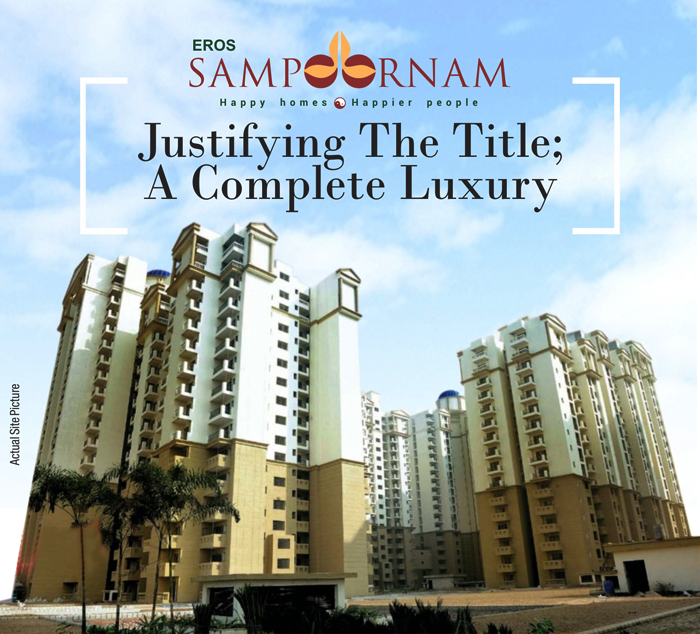 Eros Group has launched a brilliant project, Eros Sampoornam. Eros Group has been ruling the Real Estate sector for 70 remarkable years and delivered some renowned projects. 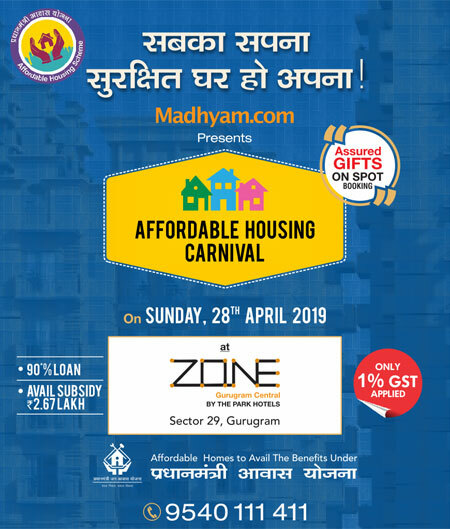 The project is located in Greater Noida (West), comprised of 2BHK and 3 BHK 4 sides opened apartments of distinct sizes starting from 835 sq ft to 1800 sq ft. The apartments are erected in 6 towers and the entire township is spread over 25 acres. The tremendous amenities of Eros Sampoornam Greater Noida West include, Club House with gym, Billiards Room, Ample Parking, high-speed lifts, Basketball Court, skating area, Putting green, Yoga, Meditation centre, Badminton courts, Tennis courts, In-house Shopping Centre/Market, Swimming Pools, Jogging Track, Children Play Area, and much more. The location of Eros Sampoornam adds an icing to the sugar by contributing some location advantages, which include, 100M and 60 M wide huge green belt on both sides which is surrounding the whole project, walking distance from an upcoming metro station, Sector-32, City Center Metro station is just 10 KM away, Noida Expressway & Amity University are only 14 KM away, and much more. Ready to move in now, book your admirable apartment the inventory stock out!! !